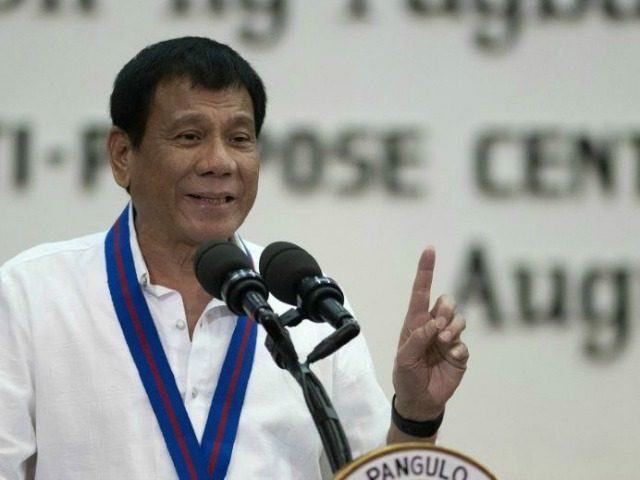 Philippine President Rodrigo Duterte said this week he is willing to join a “new world order” created by communist China and the rogue Russian regime. “You know, if China and Russia would decide to create a new order, I would be the first to join,” Duterte said in a statement he issued Thursday before flying to Peru to attend the annual summit of Asia-Pacific leaders, adding that he would quit the United Nations. Duterte noted that he expected to meet with Russian President Vladimir Putin at the sidelines of the summit in the Peruvian capital of Lima. According to the Philippine president, he requested the bilateral meeting because he wants to meet and be friends with Putin, whom he has described as his idol. Duterte has been threatening to cozy up to communist Chinese President Xi Jinping and the rogue Putin regime in Russia for some time now. Relations between longtime allies, the Philippines and the United States, have been deteriorating since Duterte began carrying out extrajudicial killings of thousands of drug suspects, a move that the administration of President Barack Obama and other Western governments have denounced. The Philippine leader has profanely reacted to President Obama’s criticism of his war on drugs, calling his American counterpart a “son of a whore” on multiple occasions. In his recent statement, Duterte noted that he may follow in Russia’s footsteps and withdraw from the International Criminal Court (ICC), where he could be charged for the extrajudicial executions by his administration. He also denounced the UN as inutile in stopping wars. Like Russia, Duterte said he might withdraw from the ICC “because we the small ones are the only ones being beaten up,” but nothing has been done for the thousands of children and women dying in bombings in Iraq and Syria. Moreover, the Filipino leader blasted the global agreement against climate change, noting that there are no repercussions for violations and it is still not clear which industrialized nations will contribute money to support developing countries’ efforts against global warming.